Welcome to the official web site (the “Site”) of Curtis for Congress. Automatically Generated Information: We may also collect non-personally identifiable information that is generated automatically while you are visiting the Site or elsewhere on the Internet when our advertisements are served, also known as log files. This data includes, but is not limited to, information such as IP address, web pages visited before and after visiting the Site, date and time, domain type, type of mobile device you use, your device’s unique ID, web pages you view and links you click on within the Site and interactions with our advertisements delivered by us or advertisements delivered by a third party advertising technology vendor. This type of information may be collected using different types of technologies, such as cookies and pixels. An IP address, for example, is a unique identifier that certain electronic devices use to identify and communicate with each other on the Internet. When you visit the Site, we may view the IP address of the device you use to connect to the Internet. We use this information to determine the general physical location of the device and understand from what regions of the world the Site visitors come. We also may use your non-personally identifiable information to enhance the Site. All Site users remain anonymous unless they choose to give us their personal information. You may elect not to allow us to collect and use this non-personally identifiable data as part of our Service by following the Opt Out procedures described below. Cookies are used to collect standard Internet log information and visitor behavior information in an anonymous form. The information generated by the cookie about your use of the website (including IP address) is transmitted to Google. This information is then used to evaluate visitors’ use of the website and to compile statistical reports on website activity for Curtis for Congress. Google Analytics collects information anonymously. Google will not associate your IP address with any other data held by Google. Neither Curtis for Congress nor Google will link, or seek to link, an IP address with the identity of a computer user. We will not associate any data gathered from this site with any Personally Identifiable Information from any source, unless you explicitly submit that information via a fill-in form on our website. It reports website trends without identifying individual visitors. You can opt out of Google Analytics without affecting how you visit the Site – for more information on opting out of being tracked by Google Analytics across all websites you use, visit this Google page. Disabling Cookies: The ‘Help’ portion of the toolbar on most browsers will tell you how to prevent your browser from accepting cookies, how to have the browser notify you when you receive cookies and how to disable cookies altogether. Note that if you reject or block cookies, it may affect your ability to enjoy the full functionality and experience of the Site. Web Beacons: Pages of the Site [and our e-mails] may contain small electronic files known as web beacons (also referred to as clear gifs, pixel tags, and single-pixel gifs) that permit Curtis for Congress, for example, to count users who have visited those pages or opened an e-mail and for other related web site statistics (for example, recording the popularity of certain web site content and verifying system and server integrity). Use of Non-Personally Identifiable Information: Curtis for Congress or our service providers or agents that provide services for us may use non-personally identifiable information as part of the Services to better tailor advertisements and other content in an effort to create a more relevant experience for each person that visits the Site or elsewhere on the Internet. This non-personally identifiable information may also be used to predict responses to advertisements, to help determine which ads perform best and which content is most appropriate for different individuals, to measure and optimize the effectiveness of advertisements and to provide aggregate reporting to our service providers or agents and for our and their internal purposes. CONTESTS, SWEEPSTAKES AND OTHER PROMOTIONS: On the Site, you may wish to participate in contests and other promotions that we may offer from time to time. Through these promotions, you may choose to participate in activities such as sharing information found on the Site with others and sending e-mail invitations. In connection with any contests and other promotions that we may offer from time to time via the Site, we use the information you provide to administer the contests and other promotions. Subject to applicable contractual or legal restrictions, we also may use the information to communicate with you, or the other people you select, about our products and services or our service providers or agents partners may use such information to communicate with you about the contests and other promotions or their products and services. If you choose to participate in these promotions, and are eligible to do so, we may ask you for information such as your name, e-mail address, date of birth and telephone number. Official Contest Rules will accompany any contest sponsored by Curtis for Congress. Additionally, in the event that we offer a message board or any other interactive or social-type feature on a web site administered directly by us, please be aware that these areas may allow you to publicly post, and share with other users, certain messages, content, or other information (e.g., stories, pictures, ingredients, tips, etc.). Although we may take certain precautions to protect those who use these areas of one of our web sites, we encourage you to be wary of giving out any personal information in such public forums. The information you post can be collected and used by people you don’t know. We cannot guarantee the privacy and safety of these areas and are therefore not responsible for any information you choose to post. Your use of these features is fully at your own risk. Submitting your e-mail: Submitting your address anywhere on the Site may result in your e-mail address being added to the Curtis for Congress e-mail list. You may unsubscribe to Curtis for Congress e-mails at any time by opting out of e-mail subscriptions with the ‘unsubscribe’ link included in each e-mail. Your e-mail address will be removed from our marketing list. Please allow us a reasonable period of time in order to satisfy your request, as some promotions may already be in process. Overview: We may use non-personally identifiable information to provide more relevant advertising and content. If you’d like to stop the Site from collecting certain types of information that provide more tailored online ads and messages to you, please click here. If you elect to opt out of this type of advertising, we will place a cookie on your computer to flag that we should not collect data to tailor advertising to your browser. If you delete your cookies, install a new browser, or use a different computer, you may need to revisit this page to opt out. We will respond to such requests for information access within 30 days following receipt at the e-mail address stated above. If we receive your request at a different e-mail or mailing address, we will respond within a reasonable period of time, but not to exceed 150 days from the date received. Please note that we are only required to respond to each customer once per calendar year. We strongly encourage parents and guardians to regularly monitor and supervise their children’s online activities. We do not knowingly collect personal information from children under 13. When you make a contribution to Curtis for Congress federal law requires us to obtain the following information: name, mailing address, employer, occupation and amount of contribution. Federal law also requires us to report this information to the Federal Election Commission if an individual’s contributions aggregate in excess of $200 in an election cycle. All contributions made to the Site are considered final unless the donation is not in compliance with federal election law and/or Federal Election Commission regulations. All purchases from the online store are considered contributions to Curtis for Congress. All contributions made to the Site are considered final unless the donation is not in compliance with federal election law and/or Federal Election Commission regulations. All purchases from the online store are considered contributions to Curtis for Congress. Online donors Curtis for Congress have the option to store their credit card information when registering with the Site. Online donors taking advantage of this option will have their credit card information securely saved through a third-party payment processor, Stripe (https://stripe.com/help/security), which has been audited by a PCI-certified auditor, and is certified to PCI Service Provider Level 1. This is the most stringent level of certification available. Any personal information that you provide to us when applying for a career position with Curtis for Congress will be used solely to consider and act upon your application. We may retain your personal information for a period of time, but only for as long as necessary for such purposes or as otherwise required by law. We may disclose your personal information to our agents for the purpose of evaluating your qualifications for the particular position for which you applied, for other available positions or as otherwise required by law. We may also disclose your personal information to third parties hired by us to collect, maintain, and analyze candidates for career positions or as otherwise required by law. This website is operated by Curtis for Congress. These Terms of Service apply solely to your access to, and use of, the https://johncurtis.org web site operated by Curtis for Congress. and other Curtis for Congress web sites and mobile applications and other social media applications which link to these Terms of Service (the ‘Sites’). These Terms of Service do not alter in any way the terms or conditions of any other agreement you may have with Curtis for Congress for products, services or otherwise. All questions or comments about the Sites or site content should be directed to info@johncurtis.org.  Unless otherwise indicated in the Sites, the Sites and all content and other materials on the Sites, including, without limitation, Curtis for Congress’s logo, and all designs, text, graphics, pictures, information, data, software, tools, widgets, sound files, other files and the selection and arrangement thereof (collectively, the ‘Site Materials’) are the proprietary property of Curtis for Congress or its licensors or users and are protected by U.S. and international copyright laws. You are granted a limited, non-sublicensable license to access and use the Sites and the Site Materials for your informational, non-commercial and personal use only. Such license is subject to these Terms of Service and does not include: (a) any resale or commercial use of the Sites or the Site Materials therein; (b) the reproduction, distribution, public performance or public display of any Site Materials, except as expressly permitted on the Site; (c) modifying or otherwise making any derivative uses of the Sites and the Site Materials, or any portion thereof; (d) use of any data mining, robots or similar data gathering or extraction methods; (e) downloading (other than the page caching) of any portion of the Sites, the Site Materials or any information contained therein, except as expressly permitted on the Sites; or (f) any use of the Sites or the Site Materials other than for its intended purpose. Any use of the Sites or the Site Materials other than as specifically authorized herein, without the prior written permission of Curtis for Congress is strictly prohibited and will terminate the license granted herein. Such unauthorized use may also violate applicable laws, including, without limitation, copyright and trademark laws and applicable communications regulations and statutes. Unless explicitly stated herein, nothing in these Terms of Service shall be construed as conferring any license to intellectual property rights, whether by estoppel, implication or otherwise. This license is revocable at any time. In accordance with the Digital Millennium Copyright Act (‘DMCA’) and other applicable laws, Curtis for Congress has adopted a policy of terminating, in appropriate circumstances as determined by Curtis for Congress in its sole discretion, subscribers or account holders who are deemed to be repeat infringers. Curtis for Congress may also at its sole discretion limit access to the Sites and/or terminate the accounts of any users who infringe any intellectual property rights of others, whether or not there is any repeat infringement. You may not use any metatags or any other ‘hidden text’ utilizing ‘Curtis for Congress’ or any other name, trademark or product or service name of Curtis for Congress without our prior written permission. In addition, the look and feel of the Site, including all page headers, custom graphics, button icons and scripts, is the service mark, trademark and/or trade dress of Curtis for Congress and may not be copied, imitated or used, in whole or in part, without our prior written permission. All other trademarks, registered trademarks, product names and company names or logos mentioned in the Sites are the property of their respective owners. Reference to any products, services, processes or other information, by trade name, trademark, manufacturer, and supplier or otherwise, does not constitute or imply endorsement, sponsorship, or recommendation thereof by us. You may not use a Curtis for Congress logo or other proprietary graphic of Curtis for Congress to link to these Sites without the express written permission of Curtis for Congress. Further, you may not use, frame or utilize framing techniques to enclose any Curtis for Congress trademark, logo or other proprietary information, including the images found at the Sites, the content of any text or the layout/design of any page or form contained on a page on the Sites without Curtis for Congress’s express written consent. Except as noted above, you are not conveyed any right or license by implication, estoppel or otherwise in or under any patent, trademark, copyright or proprietary right of Curtis for Congress or any third party. Curtis for Congress makes no claim or representation regarding, and accepts no responsibility for, the quality, content, nature, or reliability of third-party Web sites accessible by hyperlink from the Sites, or Web sites linking to the Sites. Such sites are not under the control of Curtis for Congress and Curtis for Congress is not responsible for the contents of any linked site or any link contained in a linked site, or any review, changes or updates to such sites. Curtis for Congress provides these links to you only as a convenience, and the inclusion of any link does not imply affiliation, endorsement, or adoption by Curtis for Congress of any site or any information contained therein. When you leave the Sites, you should be aware that our terms and policies no longer govern. You should review the applicable terms and policies, including privacy and data gathering practices, of any site to which you navigate from the Sites. We may make third party information and other content available on or through the Sites (the ‘Third Party Content’) as a service to those interested in this information and we may provide information regarding or access to third party products or services available on or through the Sites (‘Third Party Products and Services’). Your business dealings or correspondence with such third parties, and any terms, conditions, warranties or representations associated therewith, are solely between you and such third party. Curtis for Congress does not control, endorse or adopt any Third Party Content or Third Party Products, and makes no representation or warranties of any kind regarding the Third Party Content, including, without limitation, regarding its accuracy or completeness. You acknowledge and agree that Curtis for Congress is not responsible or liable in any manner for any Third Party Content and undertakes no responsibility to update or review any Third Party Content. Users use such Third Party Content contained therein at their own risk. Curtis for Congress may run advertisements and promotions from third parties on the Site or may otherwise provide information about or links to third-party organizations, products, or services on the Site. Your dealings or correspondence with, or participation in promotions of, such third parties, and any terms, conditions, warranties or representations associated with such dealings or promotions are solely between you and such third party. Curtis for Congress is not responsible or liable for any loss or damage of any sort incurred as the result of any such dealings or promotions or as the result of the presence of such non- Curtis for Congress advertisers or third party information on the Site. You acknowledge and agree that any feedback, questions, comments, suggestions, ideas, or other information or materials regarding the Site or Curtis for Congress that are provided by you in the form of email or other submissions to Curtis for Congress or any postings on the Sites, are non-confidential and shall become the sole property of Curtis for Congress. Curtis for Congress shall own exclusive rights, including all intellectual property rights, and shall be entitled to the unrestricted use and dissemination of these materials for any purpose without acknowledgment or compensation to you. User Content that, in the sole judgment of Curtis for Congress, is objectionable or which restricts or inhibits any other person from using or enjoying the Interactive Areas or the Sites, or which may expose Curtis for Congress or its users to any harm or liability of any type. Curtis for Congress takes no responsibility and assumes no liability for any User Content posted, stored or uploaded by you or any third party, or for any loss or damage thereto, nor is Curtis for Congress liable for any mistakes, defamation, slander, libel, omissions, falsehoods, obscenity, profanity or objectionable content you may encounter. Your use of Interactive Areas is at your own risk. Enforcement of the user content or conduct rules set forth in these Terms of Service is solely at Curtis for Congress’s discretion, and failure to enforce such rules in some instances does not constitute a waiver of our right to enforce such rules in other instances. In addition, these rules do not create any private right of action on the part of any third party or any reasonable expectation that the Sites will not contain any content that is prohibited by such rules. As a provider of interactive services, Curtis for Congress is not liable for any statements, representations, or User Content provided by its users in any public forum, blog or other Interactive Area. Although Curtis for Congress has no obligation to do so, it reserves the right, and has absolute discretion, to remove, screen or edit any User Content posted or stored on the Sites at any time and for any reason without notice, and you are solely responsible for creating backup copies of and replacing any User Content you post or store on the Sites at your sole cost and expense. Any use of the Interactive Areas or other portions of the Sites in violation of the foregoing violates these Terms of Service and may result in, among other things, termination, or suspension of your rights to use the Interactive Areas and/or the Sites. Except as otherwise provided, you retain ownership of all User Content you post on the Sites. However, if you post User Content to the Sites, unless we indicate otherwise, you grant Curtis for Congress and its affiliates a nonexclusive, royalty-free, perpetual, irrevocable and fully sublicensable right to use, reproduce, modify, adapt, publish, translate, create derivative works from, distribute, perform and display such User Content throughout the world in any manner or media, including, without limitation, in advertising, fundraising and other communications in support of Curtis for Congress and the issues, and causes it supports, without any right of compensation or attribution . You grant Curtis for Congress and its affiliates and sublicensees the right to use the name that you submit in connection with such content, if they choose. You represent and warrant that (a) you own and control all of the rights to the User Content that you post or you otherwise have the right to post such User Content to the Sites; (b) the User Content is accurate and not misleading; and (c) use and posting of the User Content you supply does not violate these Terms of Service and will not violate any rights of or cause injury to any person or entity. In consideration of your use of the Sites, you agree to (a) provide accurate, current and complete information about you as may be prompted by any registration forms on the Sites (‘Registration Data’); (b) maintain the security of your password and identification; (c) maintain and promptly update the Registration Data, and any other information you provide to Curtis for Congress, to keep it accurate, current and complete; and (d) accept all risks of unauthorized access to the Registration Data and any other information you provide to Curtis for Congress. You agree to defend, indemnify and hold harmless Curtis for Congress, its independent contractors, service providers and consultants, and their respective directors, employees and agents, from and against any claims, damages, costs, liabilities and expenses (including, but not limited to, reasonable attorneys’ fees) arising out of or related to any User Content you post, store or otherwise transmit on or through the Sites, your use of the Interactive Areas, or any act or omission relating to the Site or the User Content, including, without limitation, any actual or threatened suit, demand or claim made against Curtis for Congress and/or its independent contractors, service providers, employees, directors or consultants, arising out of or relating to the User Content, your conduct, your violation of these Terms of Service or your violation of the rights of any third party. EXCEPT AS EXPRESSLY PROVIDED TO THE CONTRARY IN A WRITING BY CURTIS FOR CONGRESS THE SITES, THE SITE MATERIALS CONTAINED THEREIN AND THE SERVICES PROVIDED ON OR IN CONNECTION THEREWITH (THE ‘SERVICES’) ARE PROVIDED ON AN ‘AS IS’ BASIS WITHOUT WARRANTIES OF ANY KIND, EITHER EXPRESS OR IMPLIED. CURTIS FOR CONGRESS DISCLAIMS ALL OTHER WARRANTIES, EXPRESS OR IMPLIED, INCLUDING, WITHOUT LIMITATION, IMPLIED WARRANTIES OF MERCHANTABILITY, FITNESS FOR A PARTICULAR PURPOSE, TITLE AND NON-INFRINGEMENT AND AS TO ACCURACY OR RELIABILITY OF THE INFORMATION, CONTENT, FORMS OR OTHER SITE MATERIALS ACCESSED THROUGH THE SITE. CURTIS FOR CONGRESS DOES NOT REPRESENT OR WARRANT THAT THE SITES, THE SITE MATERIALS OR THE SERVICES ARE ACCURATE, COMPLETE, RELIABLE, CURRENT OR ERROR-FREE. CURTIS FOR CONGRESS IS NOT RESPONSIBLE FOR TYPOGRAPHICAL ERRORS OR OMISSIONS, INCLUDING THOSE RELATING TO PRICING, TEXT OR PHOTOGRAPHY. WHILE CURTIS FOR CONGRESS ATTEMPTS TO MAKE YOUR ACCESS AND USE OF THE SITES AND SERVICES SAFE, CURTIS FOR CONGRESS CANNOT AND DOES NOT REPRESENT OR WARRANT THAT THE SITES, THE SITE MATERIALS OR THE SERVER(S) ARE FREE OF VIRUSES OR OTHER HARMFUL COMPONENTS; THEREFORE, YOU SHOULD USE INDUSTRY-RECOGNIZED SOFTWARE TO DETECT AND DISINFECT VIRUSES FROM ANY DOWNLOAD. Curtis for Congress IS ALSO NOT RESPONSIBLE OR LIABLE IN ANY MANNER FOR ANY THIRD PARTY ACTIVITIES OR EVENTS LISTED ON THE SITES OR FOR THE CONDUCT OF ANY EVENT OR ACTIVITY ORGANIZERS OF OTHER USERS OF THE SITES. Curtis for Congress reserves the right to change any and all content contained in the Sites and any Services offered through the Sites at any time without notice. Reference to any products, services, processes or other information, by trade name, trademark, manufacturer, supplier or otherwise does not constitute or imply endorsement, sponsorship or recommendation thereof, or any affiliation therewith, Curtis for Congress. IN NO EVENT SHALL CURTIS FOR CONGRESS OR OUR EMPLOYEES, AGENTS OR VOLUNTEERS BE LIABLE FOR ANY DIRECT, SPECIAL, INDIRECT OR CONSEQUENTIAL DAMAGES, OR ANY OTHER DAMAGES OF ANY KIND, INCLUDING BUT NOT LIMITED TO LOSS OF USE, LOSS OF PROFITS OR LOSS OF DATA, WHETHER IN AN ACTION IN CONTRACT, TORT (INCLUDING BUT NOT LIMITED TO NEGLIGENCE) OR OTHERWISE, ARISING OUT OF OR IN ANY WAY CONNECTED WITH THE USE OF OR INABILITY TO USE THE SITES, THE SERVICES, THE CONTENT OR THE SITE MATERIALS CONTAINED IN OR ACCESSED THROUGH THE SITE, INCLUDING, WITHOUT LIMITATION, ANY DAMAGES CAUSED BY OR RESULTING FROM RELIANCE BY USER ON ANY INFORMATION OBTAINED FROM CURTIS FOR CONGRESS OR THAT RESULT FROM MISTAKES, OMISSIONS, INTERRUPTIONS, DELETION OF FILES OR EMAIL, ERRORS, DEFECTS, VIRUSES, DELAYS IN OPERATION OR TRANSMISSION OR ANY FAILURE OF PERFORMANCE, WHETHER OR NOT RESULTING FROM ACTS OF GOD, COMMUNICATIONS FAILURE, THEFT, DESTRUCTION OR UNAUTHORIZED ACCESS TO Curtis for Congress’S RECORDS, PROGRAMS OR SERVICES. IN NO EVENT SHALL THE AGGREGATE LIABILITY OF CURTIS FOR CONGRESS, WHETHER IN CONTRACT, WARRANTY, TORT (INCLUDING NEGLIGENCE, WHETHER ACTIVE, PASSIVE OR IMPUTED), PRODUCT LIABILITY, STRICT LIABILITY OR OTHER THEORY, ARISING OUT OF OR RELATING TO THE USE OF OR INABILITY TO USE THE SITES OR THE SITE MATERIALS EXCEED ANY COMPENSATION YOU PAY, IF ANY, TO CURTIS FOR CONGRESS FOR ACCESS TO OR USE OF THE SITES. These Terms of Service and your use of the Site shall be governed by and construed in accordance with the laws of the Utah applicable to agreements made and to be entirely performed within the Utah, without resort to its conflict of law provisions. You agree that any action at law or in equity arising out of or relating to these Terms of Service shall be filed only in the state and federal courts located in the Utah and you hereby irrevocably and unconditionally consent and submit to the exclusive jurisdiction of such courts over any suit, action or proceeding arising out of these Terms of Service. Notwithstanding any of these Terms of Service, Curtis for Congress reserves the right, without notice and in its sole discretion, to terminate your license to use the Sites, and to block or prevent future your access to and use of the Sites. All donations are final. Refunds and cancellations will be given at the discretion of Curtis for Congress. If you believe that an error has been made in connection with your online donation, contact us at info@johncurtis.org. We will endeavor to work with you to correct any such error. If you request to receive updates or other information by mobile phone or text message (the “SMS Service”), you consent to receiving periodic text messages from us and our otherwise communicating with you via your mobile device. We do not charge for this SMS Service. However, your carrier’s standard messaging, data and other rates and fees still apply to any messages you send, our confirmations, and all subsequent SMS correspondence and/or transmissions. At any time, you may text STOP to cancel or HELP for customer support information. You can review the Curtis for Congress Mobile Messaging Terms & Conditions here. ©2017 By providing your phone number, you are consenting to receive calls and SMS/MMS msgs, including autodialed and automated calls and texts to that number from Curtis for Congress. Msg & data rates may apply.